The most effective practice sessions push the players to perform better, yet are fun at the same time. You do not want to punish those who underperform. Modern psychology has proven that training is much more effective when it is based on positive reinforcement. Your goal should be to have your team players want to do better, not be afraid of failing. To accomplish this, create a positive and enjoyable atmosphere during your practice sessions. Emphasize on the fun. Make mistakes a learning tool, not a sole focus on your volleyball practices. Before the season gets underway, explain your philosophy of volleyball coaching. Your players need to know that making mistakes is okay and that nobody is perfect. Mistakes are a part of the learning process. Explain that players of all levels, including professional volleyball players, miss serves, misplay balls and occasionally have violations. As long as your team players are learning, doing their best, listening and following your instructions, giving their best and hustling during drills and exercises, you can’t really ask for more. After the players of your team realise that they can make mistakes without having you to yell at them, the atmosphere will be much more conducive to progress than if you run a punishment-based program. While the main role of any volleyball coach is to actually develop volleyball skills in the players, a coach can impact the lives of the players in many different ways. As a coach, you should be fully taking advantage of this opportunity. Performance in all sports, not just volleyball, has a lot to do with leading a healthy lifestyle and avoiding alcohol, tobacco, and drugs. During your practices, explain how these substances can harm the body and decrease performance levels. 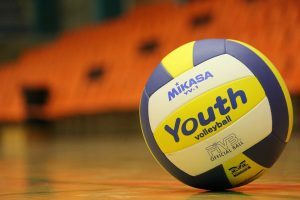 Stress the importance of working hard during the practices and explain how success in volleyball is about the same things as success in other areas of life, including focus, goals, strategy, and discipline.